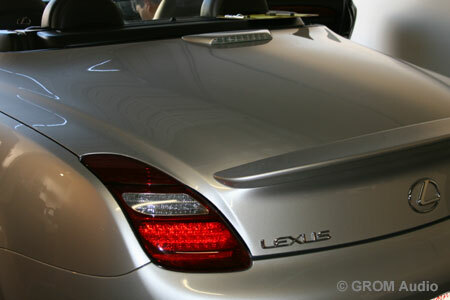 The car is Lexus SC430 2006. 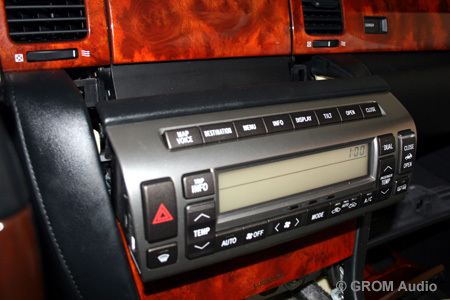 The passengers and drivers soon will be able to access, play and control the music, stored on the flash drive or iPod, via factory stereo. 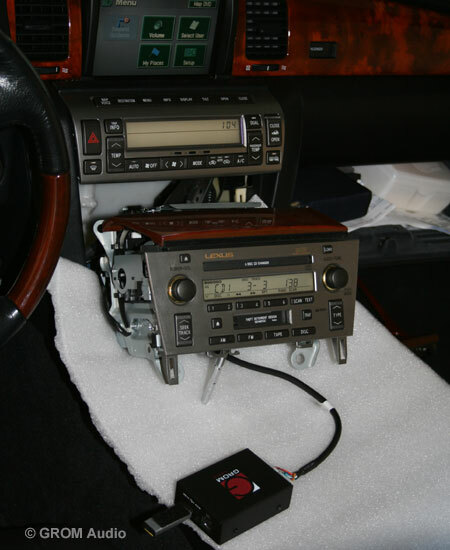 Here is the Lexus SC430 original stereo. 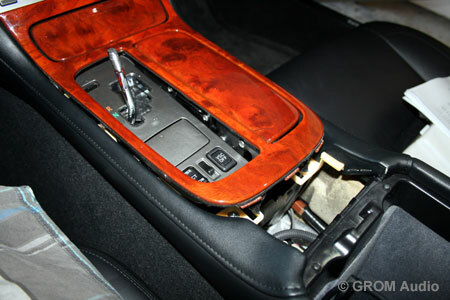 Unclip seat heater switch panel. Unclip trim around gear shift. Carefully remove button for radio door. Remove two 10mm bolts below radio. 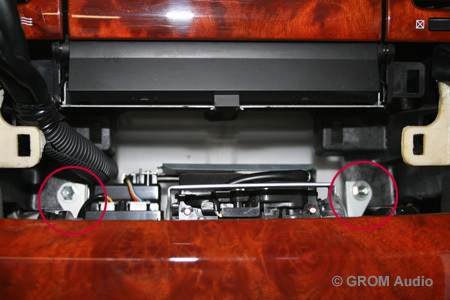 Unscrew two 10mm bolts behind AC controls. Carefully take the stereo out. 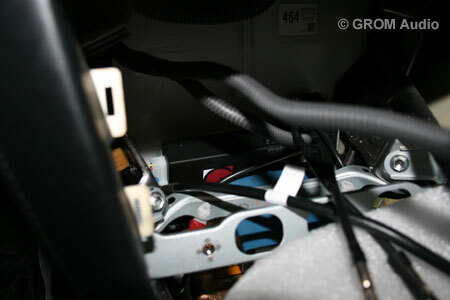 Find the appropriate connector and connect TOY1 harness to it. 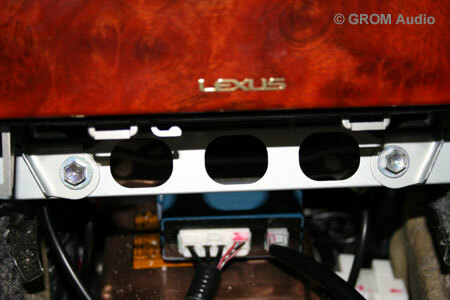 Note: with Lexus SC 400 2006 sometimes TOY harness is used as it was the year when Toyota changed the compatibility. 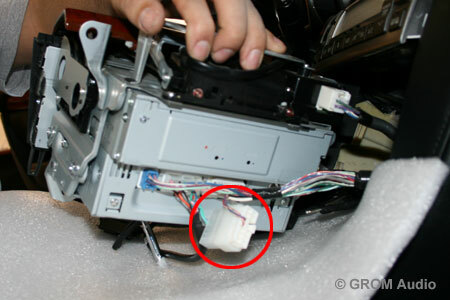 You can place the adapter behind the stereo or route the cables to the glove box. 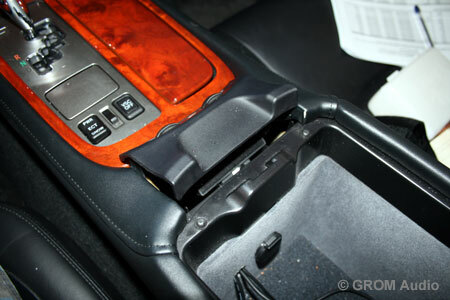 For better accessibility we recommend using glove box. 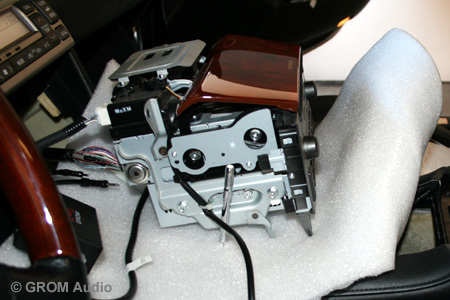 Test the operation before assembling the stereo back. Hit DISC button twice. 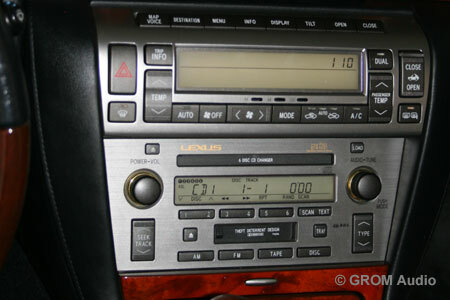 The stereo display should show DISC 1 TRACK 1. Enjoy your tunes while driving!